Shopify is an ecommerce platform that allows merchants to sell their products in-store, online, on social media, and on the go. Today, the 2,000-person company supports over 600,000 active stores and $55 billion worth of sales. 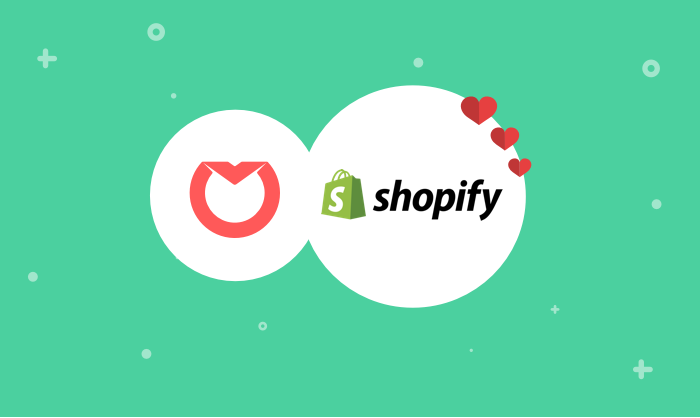 Shopify’s largest merchants use their enterprise ecommerce platform, Shopify Plus. These businesses receive a high-touch, white-glove experience from Shopify’s Merchant Success Management Team. Each Success Manager is responsible for about 50 large-scale accounts related to a specific industry. Their job is to help merchants create and use their Shopify accounts, and answer any questions they may have along the way. Over the last decade, Shopify Plus continued to grow larger, faster. They gained more accounts and hired more Merchant Success Managers (MSMs) to support their merchants. Still, their Gmail inboxes piled up, and they struggled to keep up with demand. The MSM team needed a communication process that could scale with their business’ rapid growth. Using Front, the Shopify Merchant Success Team immediately experienced a boost in team collaboration, greater transparency, and more reliable customer support. With 300 shared inboxes plus their individual work email in Front, the team of 175 MSMs has managed more than 1.2 million merchant messages over the last six months. They’ve set up rules to automatically route every merchant’s message from an individual to a shared inbox so that anyone from the larger team can work on an issue. This has empowered teammates to step in and help each other out, fostering a more cohesive team culture. The Shopify Merchant Success Team has embraced Front’s automated features to organize their inboxes and engage with customers. When an MSM gets a new account, for example, a rule automatically tags and moves those messages to the appropriate inbox, instead of wasting time manually organizing folders. The team has also created canned responses to reply to merchants and get context faster. One canned response includes a list of questions to elicit the information the team needs to process any request. “Having those canned responses built out eliminates the constant back and forth communication,” Samar said. “They make it so easy to get the answers we need and speed up the process for MSMs who are managing high message volume.” Shopify is now building out canned responses for every use case — from legal questions to refund issues — to quickly gather the information they need and provide better service. When measuring their team’s success, they look at response time and the number of replies it takes to find a solution. For every message, they aim to respond within 24 hours, and since using Front, they’ve been finding resolutions faster — they’ve seen the number of replies per conversation decrease by more than 10 percent each month. Before Front, when MSMs went on vacation, they used a “buddy system” to handle inbound requests. An automated response would direct the merchant to their “buddy” to address. With Front, the team created a rule so that when someone is out of office, all of their messages get sent to a shared inbox. This way, everyone on the team can see them and respond. If a shared message goes unaddressed for two hours, the whole team gets notified and someone can assign it to themselves. “This is amazing because everyone can look at the message, and have the context from the conversation thread to be able to answer,” Samar said. Since this shift, 23 percent of the shared vacation inbox emails are answered in under an hour. By building custom plugins for Front, the MSM team can easily pull information they need from their backend systems into their inboxes. For every message, Shopify’s custom “Plus Account Center” plugin matches the incoming message with the merchant’s account in their backend. This internal tool allows them to monitor key information about the account like their health score or monthly revenue to build the context they need for a great response, every time. They’ve also built a custom HubSpot CRM plugin, beyond what Front offers out of the box with the HubSpot integration. This allows them to support custom fields and objects for their team, update information like contract details and status to trigger next steps for the merchant, or add notes in HubSpot directly from Front. Being able to make these changes as they happen helps the MSM work faster and manage more accounts, without compromising their high-quality customer experience.